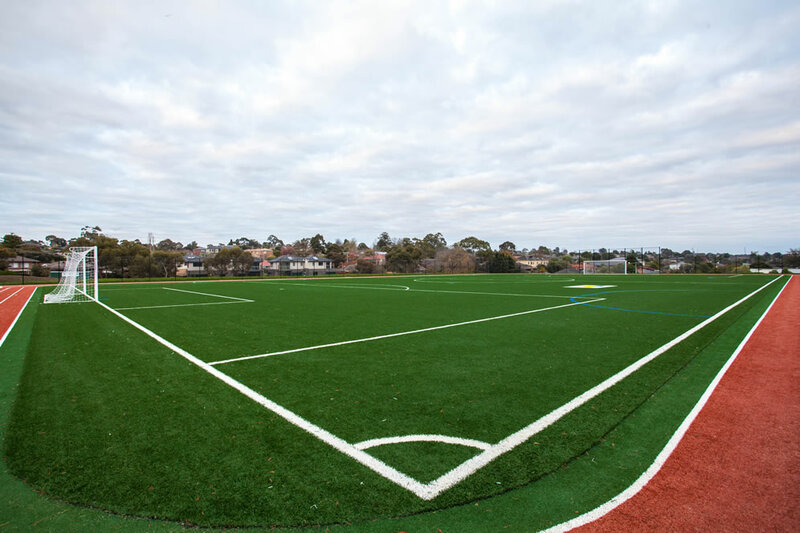 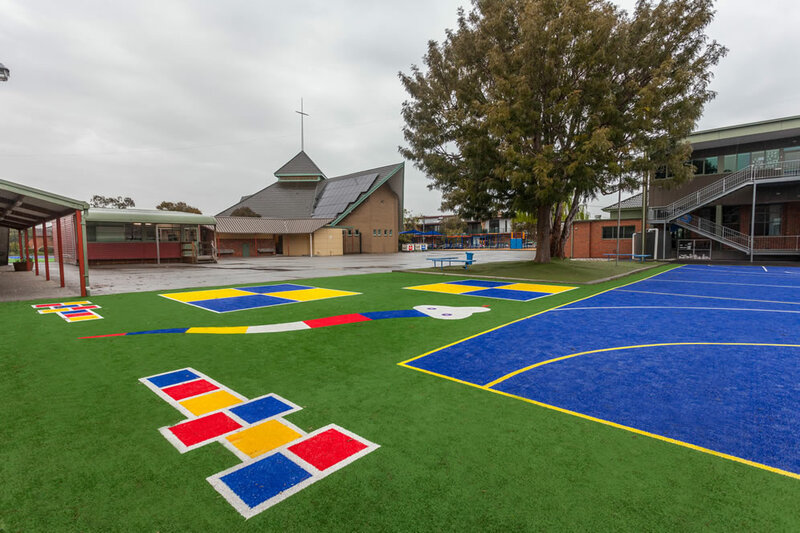 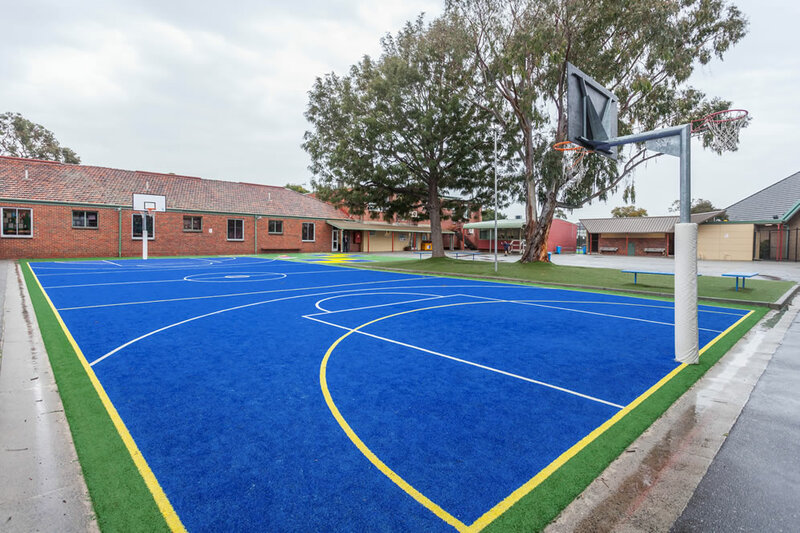 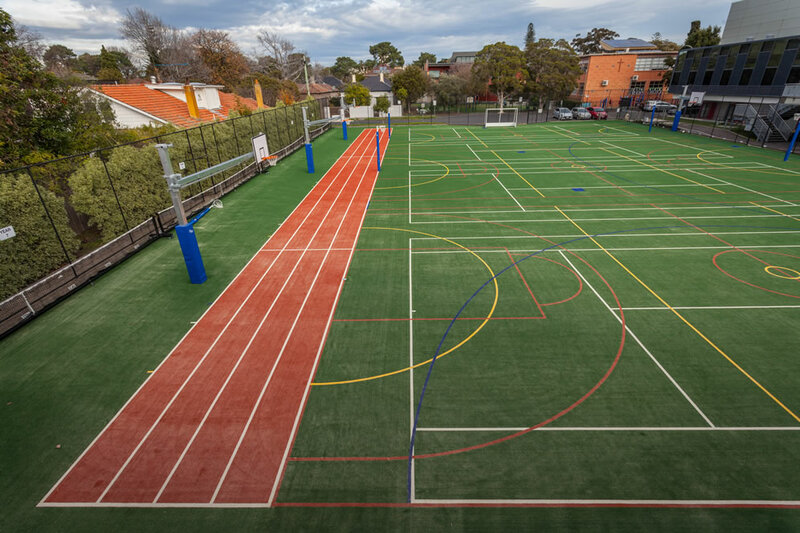 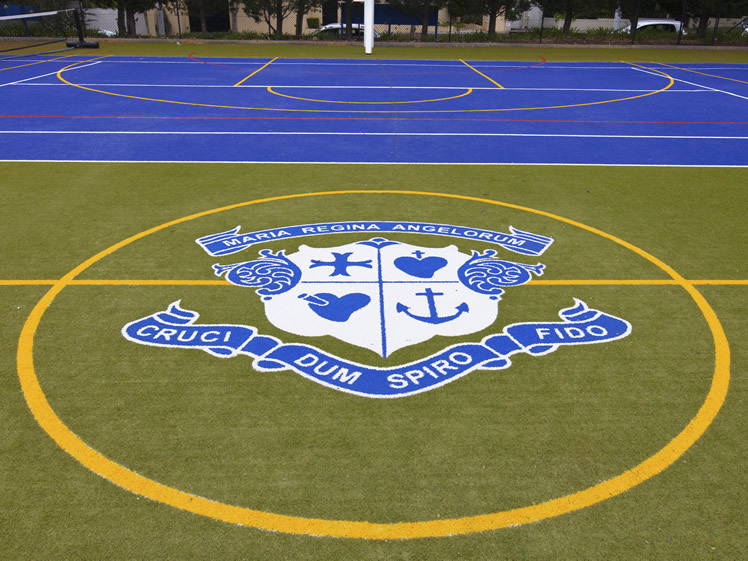 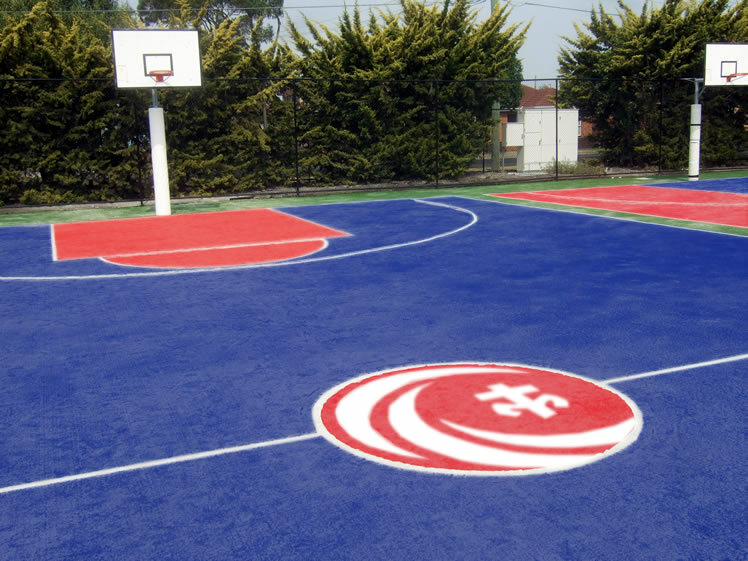 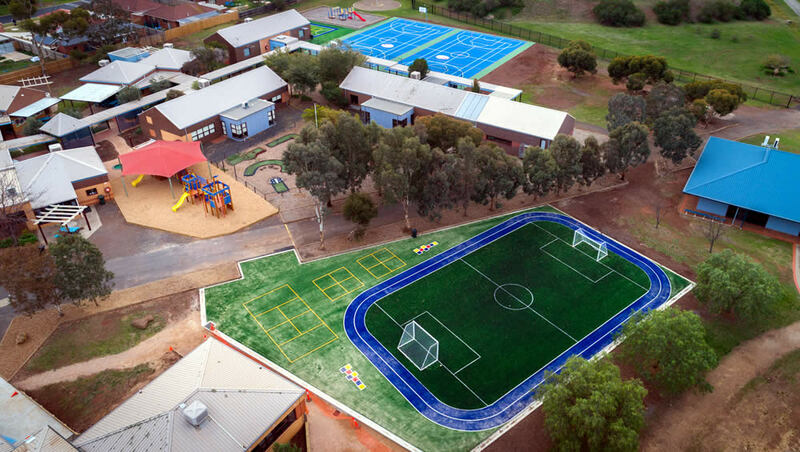 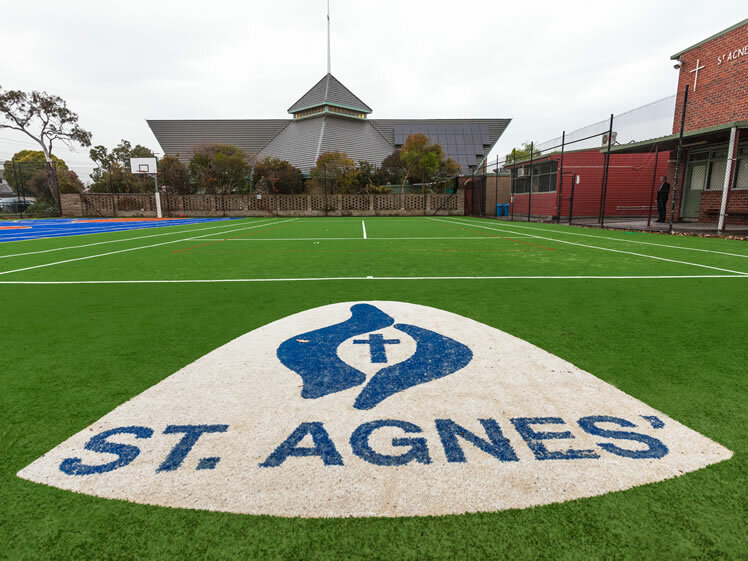 Transform your learning and play spaces and sports grounds into vibrant, custom designed and professional synthetic sports surfaces suitable for all fitness levels and abilities. 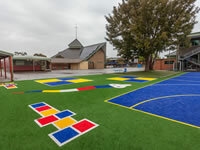 School playgrounds, ovals and multipurpose facilities endure extreme traffic as active young people learn, grow and play. 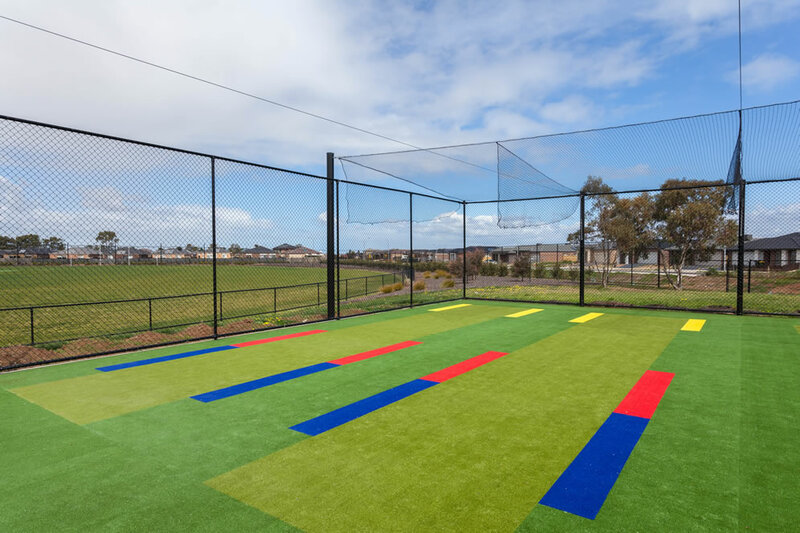 We offer only the latest in synthetic grass technology that is locally produced, hard wearing and long lasting, ensuring enjoyment for many years. 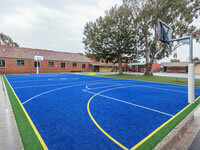 Able to be used through every season from drought to wet weather, students can play and perform at their best all year round. 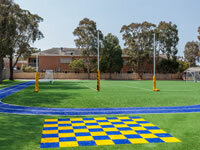 Safety in the school ground is paramount. 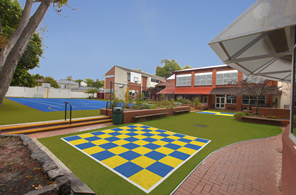 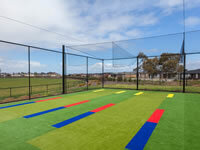 For play equipment, we install rubber underlay that is compliant with Australian Standards for critical fall heights. 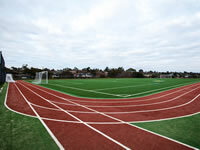 Great for fitness! 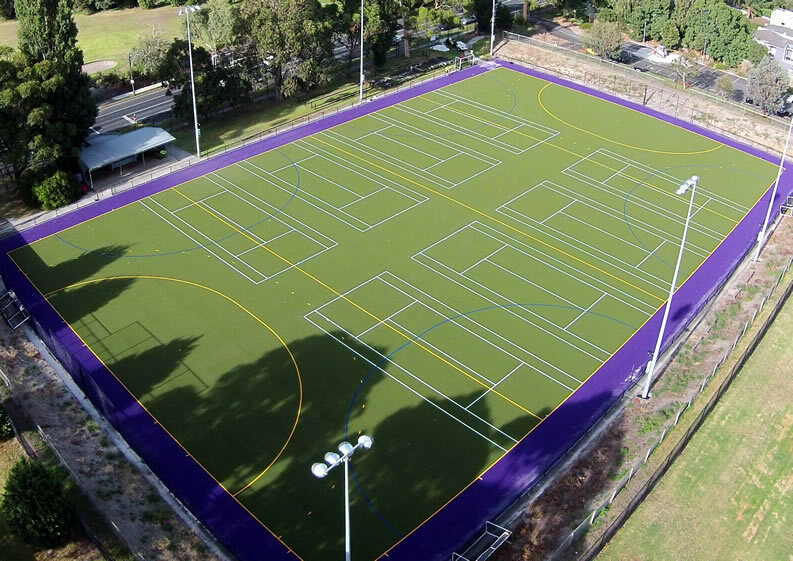 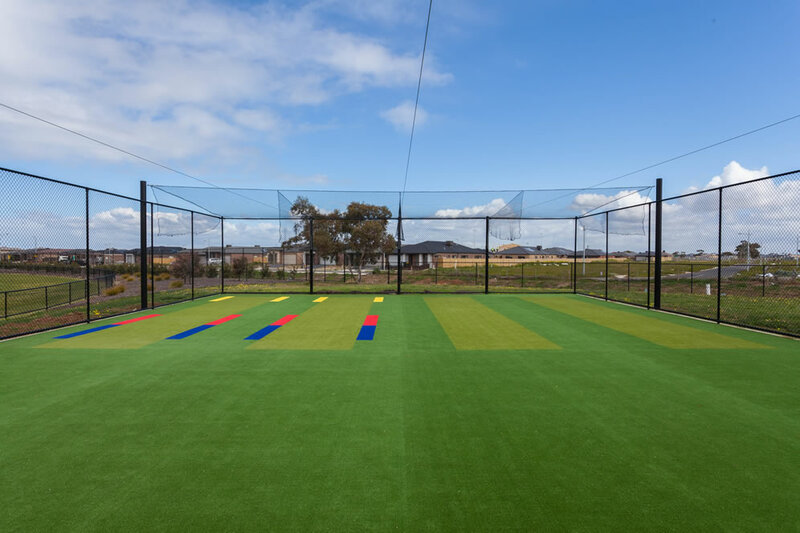 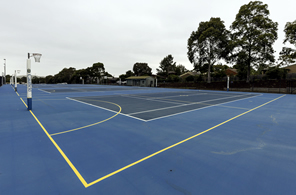 Local communities also benefit from afterhours use including tennis, futsal, soccer, netball and cricket clubs on multipurpose courts certified by sporting peak bodies. 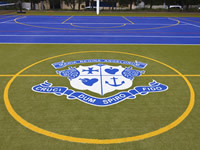 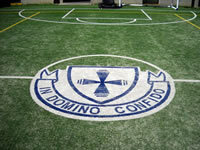 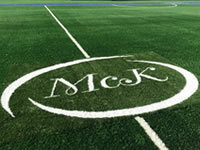 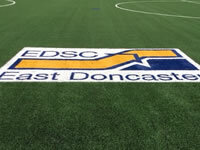 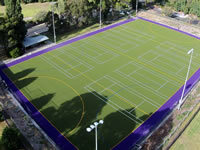 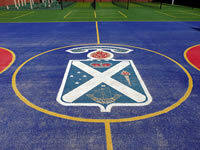 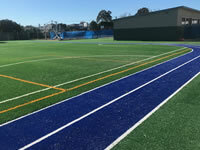 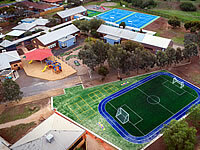 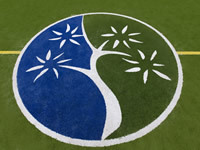 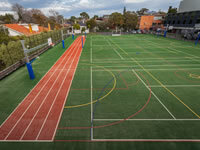 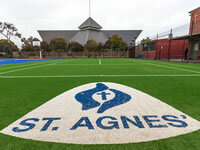 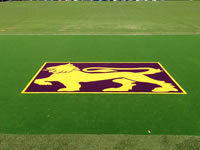 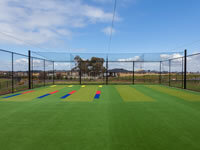 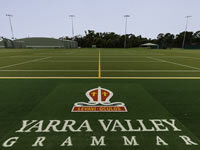 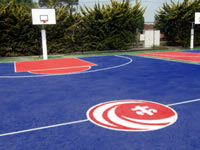 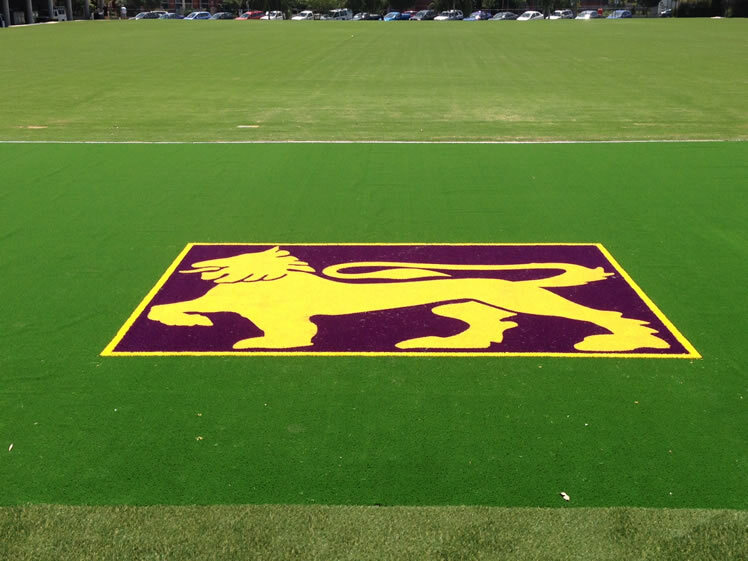 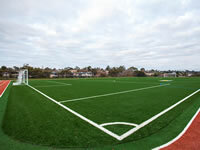 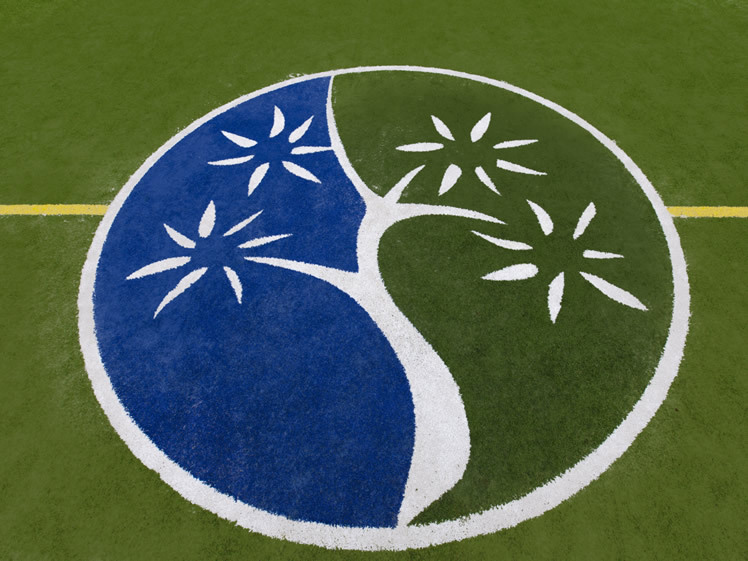 Grassports Australia can create any logo or crest in synthetic grass for application on a sports field or leisure area. 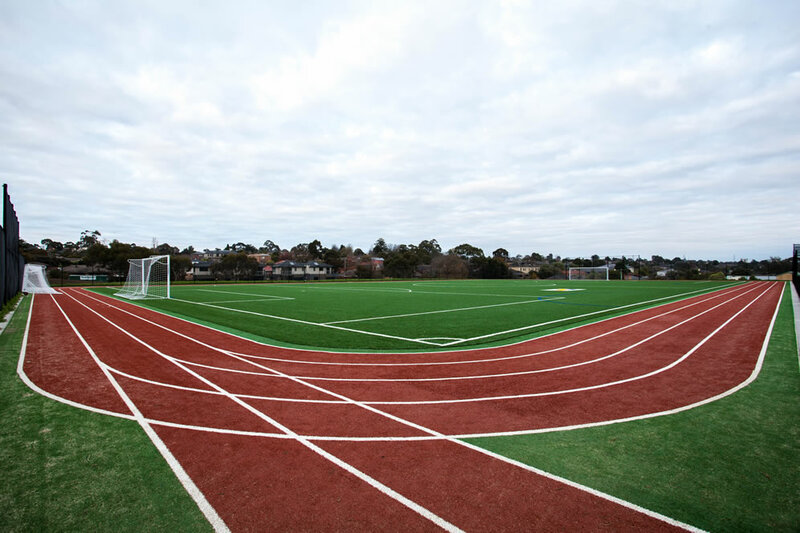 Results speak for themselves! 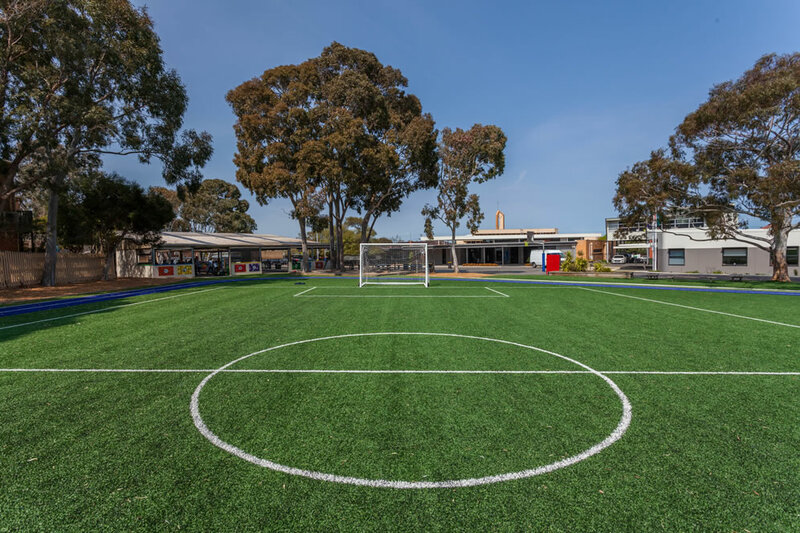 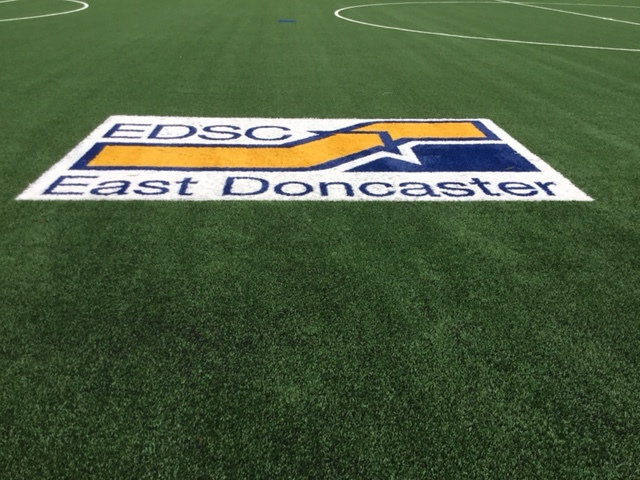 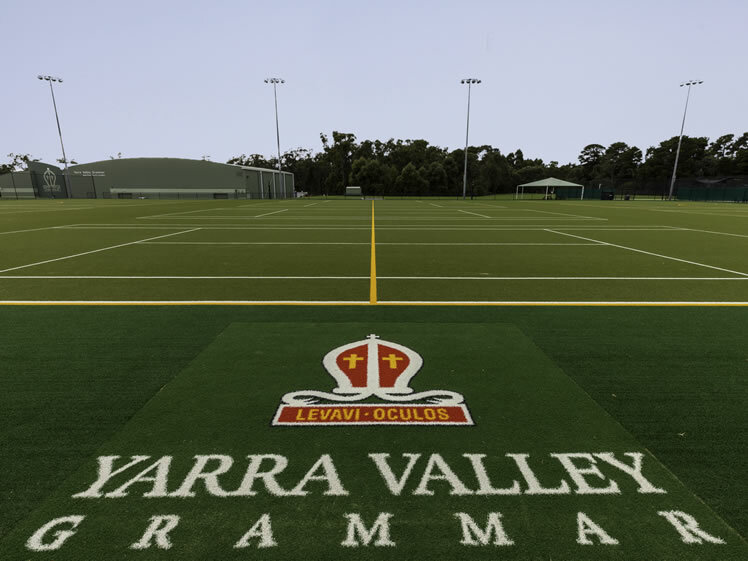 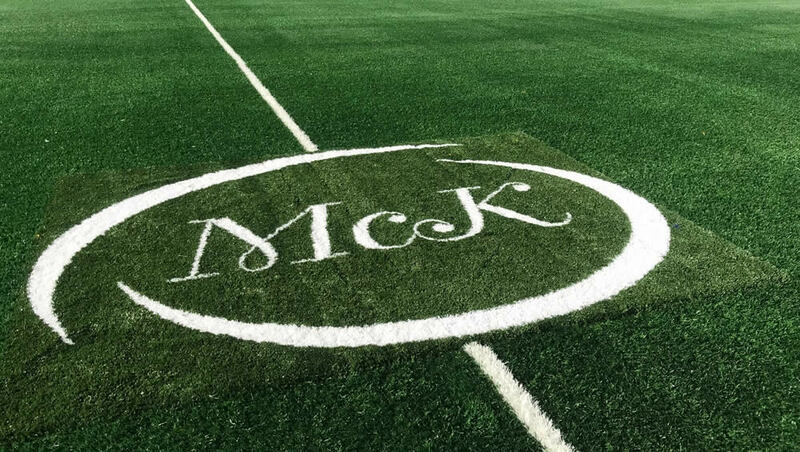 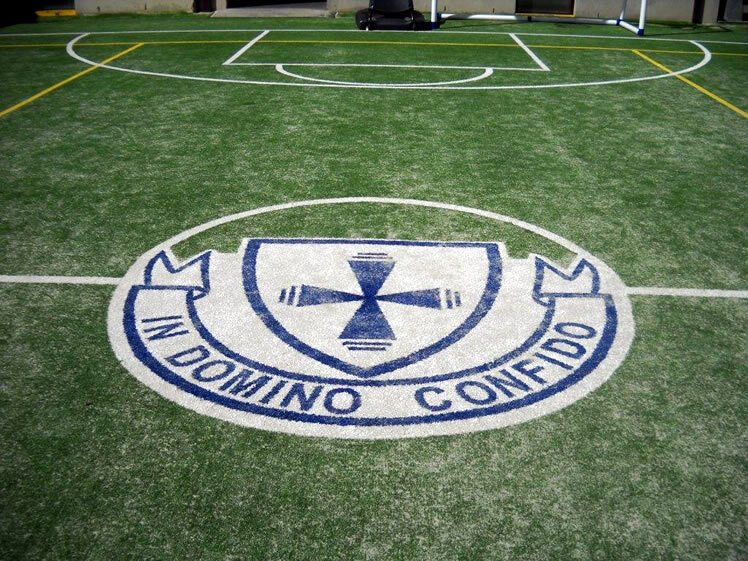 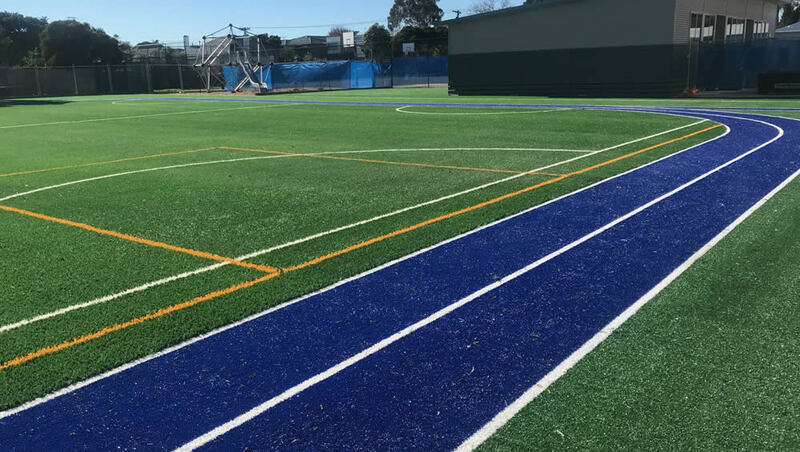 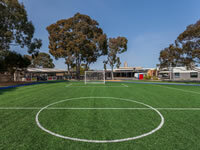 "Quality of the playing surface is excellent and the staff and students are ecstatic…"
"The finished product is amazing, it is so wonderful to see so many students running around playing so many different sports." 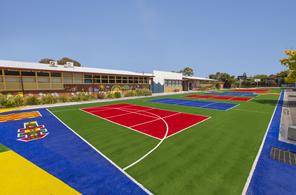 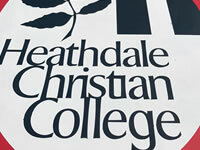 "The school community is absolutely delighted with the final outcome." "Grassports have redeveloped our oval space to an outstanding sporting facility that has left our school community absolutely delighted." 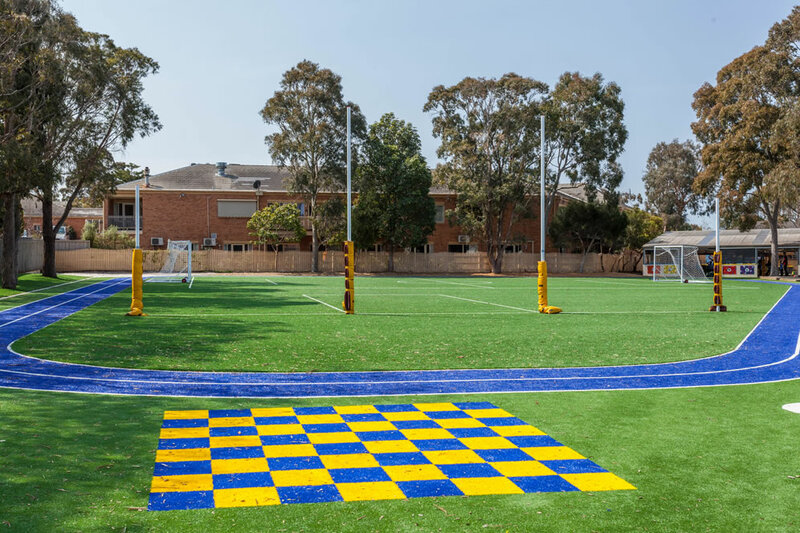 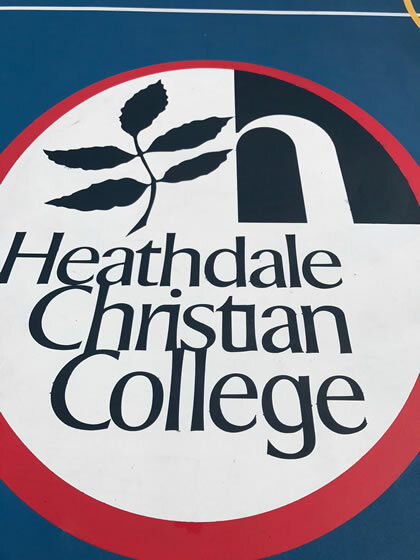 "We are very impressed with the finished product which has been recognised by our own school community and opposition teams as one of the very best in the competition."